November 11 – Bok Tower Gardens, 9 a.m. – 3:30 p.m. Inspired by seasonal plants of the gardens, learn drawing and design tips to make relief prints. December 2 – ArtCenter Manatee, 9 a.m. – 3:30 p.m. Create an edition of black and white prints and explore mixed-media techniques for one-of-a kind artworks. 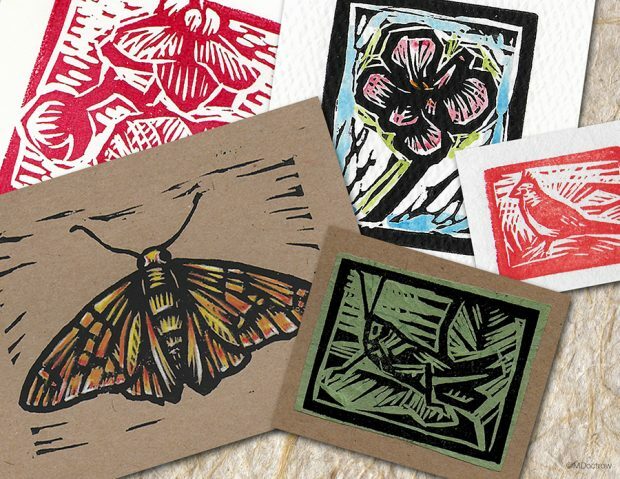 February 17 – ArtCenter Manatee, 9 a.m. – 3:30 p.m.
March 3 – Bok Tower Gardens, 9 a.m. – 3:30 p.m.
March 17 – ArtCenter Manatee, 9 a.m. – 3:30 p.m.
Download 2017-18 Printmaking Workshop Flier. Download the Printmaking Workshop Schedule.